A house is made of bricks and beams; a home is made of hopes and dreams. 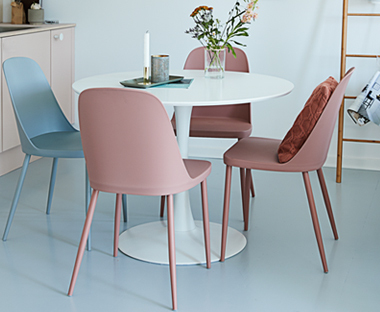 Together with JYSK’s Scandinavian design ethic, we can help your dining room a reality. Your dining space should be practical, but that doesn’t mean it has to be dull. 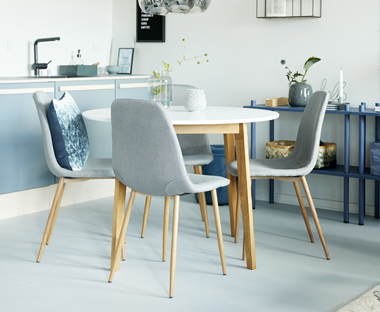 Contemporary dining room furniture can optimise floorspace, making a small room look bigger and bringing a sense of harmony to your home and creating a place where everybody comes together. 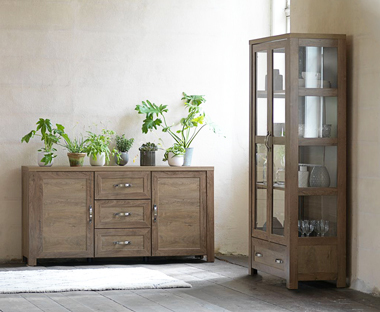 For great ideas about how to best organise your space, why not visit a furniture store like JYSK? We cater to lots of different style and have a large number of room sets available so you can see exactly how our pieces look in situ. Read our living and dining room blogs for inspiration. And don't forget to browse our products online and then make sure to visit us in store! Do you find it difficult to furnish and decorate a small dining room? It can be a challenge to fit a table and chairs and other furniture essentials into a small space but there are easy and practical solutions. Read on and get useful tips on how to furnish and style a small dining room. Do you dream about a new style in your dining room without spending a fortune? An easy way to change the look without replacing every piece of furniture in the room is to buy new dining chairs. Read on and see how four different chairs can create very different looks. The dining table is the family gathering point, and the very focal point of any modern home, therefore a dining table is a positive and important investment. Read on and get dining table ideas and space saving table and chair tips before you venture out and invest in a new dining table. Do you need inspiration to style and design your dining room? Read on and choose between two popular styles from the latest dining room interior collections and decide which dining room style is best suited for you.